Want to know how to make a yule log? If you’re looking for some Yule log recipe and cake ideas to try this holiday season, you’ve come to the right place! I don’t know about you, but I get a little frail with pleasure around cakes, especially cakes whimsically formed to look like something else, just like this – Yule log. It’s a sheet cake, rolled, filled, and frosted to resemble as trunks of trees, finish with the stumps of branches, gives you a very real opportunity to have fun with your food. If you’re in for a whimsical holiday treat, check out these 16 decadently delicious yule log recipe and cake ideas. I’ve always served cake for Christmas but this year, I wanted to make a new tradition. So when I heard about yule log or Buche de Noel, I knew that it was something I had to try. What’s better than a dessert that’s not only delicious but visually appealing as well? The traditional one is made of sponge cake, chocolate buttercream or icing but I’m sure you also want to try other recipe ideas. If you’re in, then I have a collection we can both try together. Take your pick! 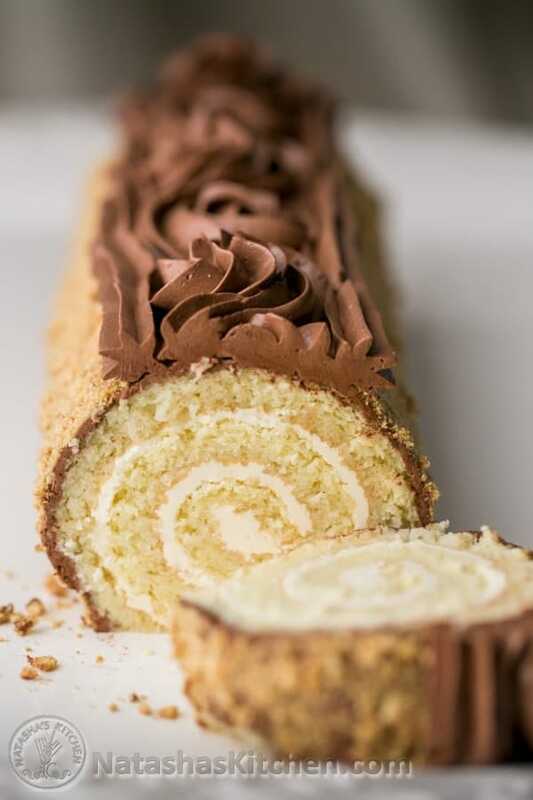 I’m sure you’ll love the creamy filling of this storybook cake roll recipe. It’s moistened, rolled in vanilla buttercream, decadently covered with chocolate and the cookie crumbs that gives extra crunch. Doesn’t it look amazing? I’m not sure if it’s something I can just dive in and eat. Take a wild guess what this Christmas chocolate yule log brings to your holiday celebration. The combination is just amazing! It may be in Russian but google translate does the trick to give you this yummy-licious bush raspberry pistachio. Look at the color, isn’t that perfect for the season? A Greek recipe that’s a little healthier than the traditional French one but this Greek chocolate yule log cake will still hit the spot. 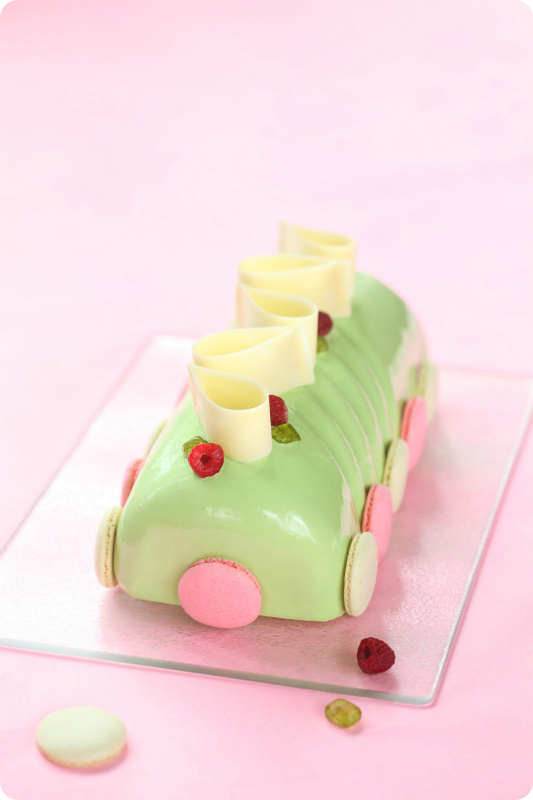 Looking for something pink and delicious this Christmas? 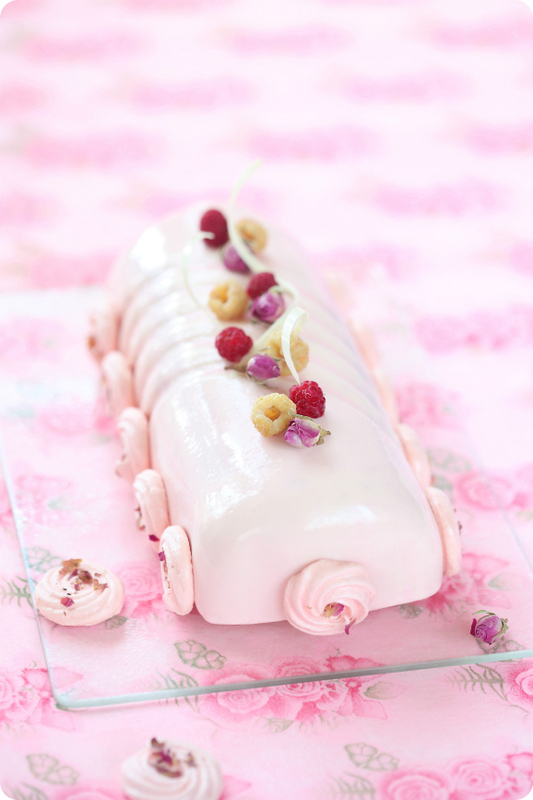 Then, this raspberry litchi rose yule log cake is perfect for you. This champagne cake roll with champagne buttercream and white chocolate will definitely make your holiday even more festive. Champagne and buttercream plus white chocolate, that’s absolute heaven. I couldn’t ask for more. Definitely, be trying this one! I haven’t really tried this flavor combination but I have a feeling it’s going to be great. 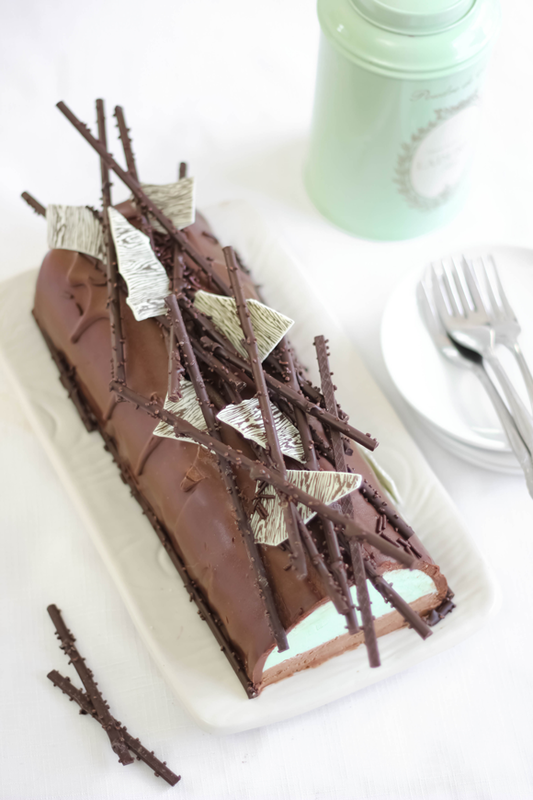 I couldn’t deny that the looks alone of this mint chocolate cheesecake yule log is making me weak with pleasure. 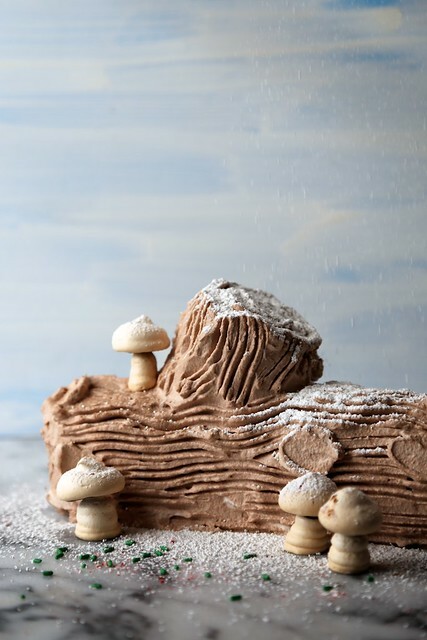 Beautiful and with a balance of chocolate and creamy whipping cream your definitely be in for a one of kind pleasure with this Buche De Noel yule log cake. 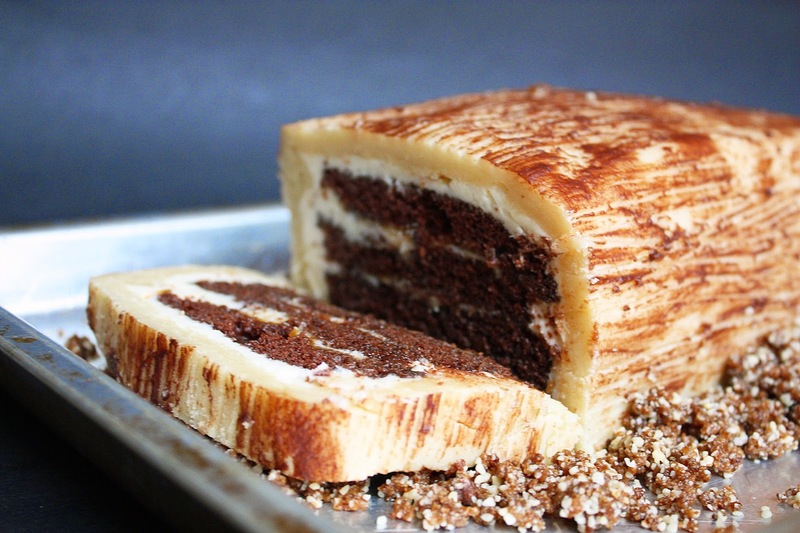 Want to go off the beaten path and make your yule log a red velvet? 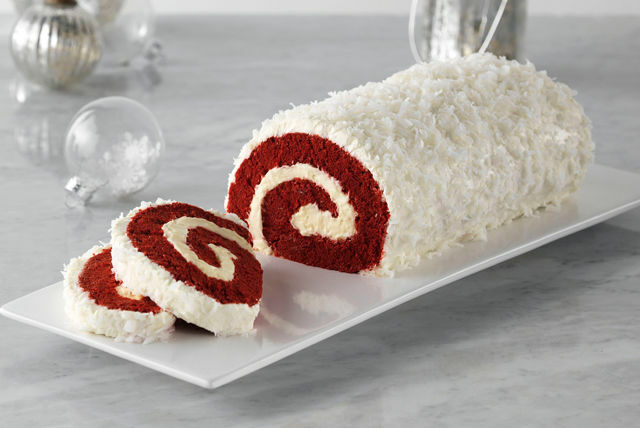 You’re gonna loose all control in the sophistication of this red velvet yule log. The presentation of this retro yule log cake will wow your family and guests. It offers a complete treat for the holiday’s festivity. Still can’t get enough of pumpkin? 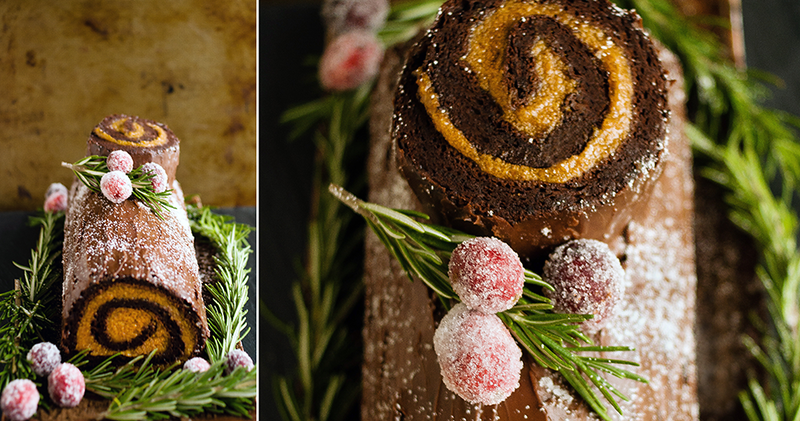 Mix it with chocolate and make this mouth-watering chocolate and pumpkin Buche de Noel. Not into the traditional roll? Here’s a log that’s not really a log but this post-modernist Buche de Noel will give you an out of this world pleasure of a yule log flavor. Make them mini and cute! But these mini Christmas yule log cakes is surely not mini when comes to flavor, it does only give your traditional yule log a bit of a twist. Have some mango this holiday season. You’ll agree there’s nothing difficult with this Christmas chocolate mango yule log recipe. It’s pretty simple and I immediately fell in love with it when I first tried it. 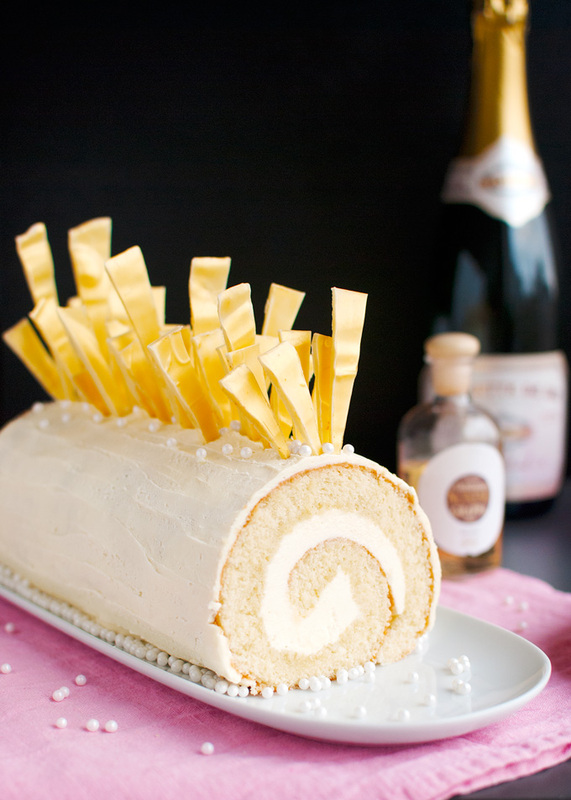 This is not your traditional cake roll. It’s not even a cake at all but looks so good. Take a wild guess and be amazed! 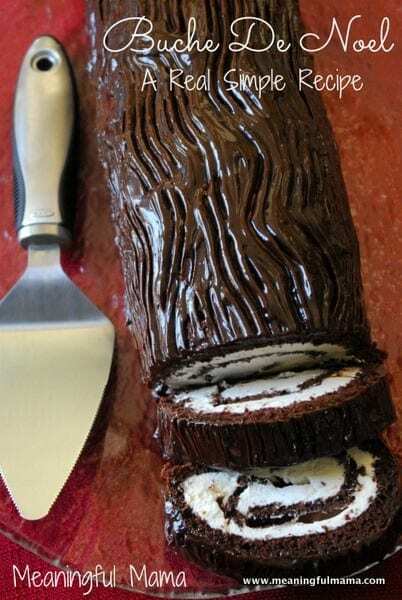 There’s nothing to lose trying this chocolate peppermint icebox yule log cake. It’s just a ticket to try something new. It’s a holiday after all! Want to make it gluten free this holiday season? You’ll love gluten free yule log recipe! It looks intimidating, but fret not, it’s pretty simple to make and superbly delicious. I bet this will complete your holiday treat. That’s all folks! Tis’ the season with these yule log recipes and cakes ideas. I know it’s a bit too much to prepare all of this for one night but I’m drooling right now. 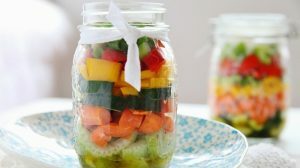 These recipes make me hungry! My favorite is Christmas chocolate mango yule log, but I definitely want to try all. One at a time for sure. Happy Sweet Holidays! What do you think of these yule log recipes? Which one is your favorite? I’m dying to know! Let me know in the comments below. Do you know that if there’s Superfoods, there is also Superfruits? Check out these 5 Superfruits You Need for Optimum Health!